Peptides are molecules more commonly referred to as proteins. According to the book "Principles of Biochemistry," all peptides are composed of amino acids chemically linked together. Peptides range in size from two amino acids--dipeptides--to thousands of amino acids, or polypeptides. The function of a peptide is determined by its size and amino acid sequence. All cells have a protective membrane that prevents most substances from easily passing into the cell. According to the book "Advanced Nutrition and Human Metabolism," some peptides act as transporters that selectively allow certain substances to pass into the cell through the cell membrane. For example, glucose transporters are necessary for glucose to travel from the blood into muscle or other cells to be used for energy. Similarly, cellular waste products can exit the cell through certain peptide transporters. Enzymes are biologic catalysts that speed up metabolic reactions. According to "Principles of Biochemistry," most enzymes are peptides. Hundreds of enzymes are located throughout the body to speed up reactions involved in many processes. These processes include the digestion of food, production of energy and synthesis of cellular components. Hormones act as biologic messengers carrying information from one tissue through the blood to a distant tissue. Two common classes of hormones are peptide and steroid hormones. According to "Advanced Nutrition and Human Metabolism," examples of peptide hormones include those involved in blood glucose regulation, such as insulin and glucagon, and those that regulate appetite, such as ghrelin and leptin. According to "Advanced Nutrition and Human Metabolism," peptides also function as structural elements of the body. 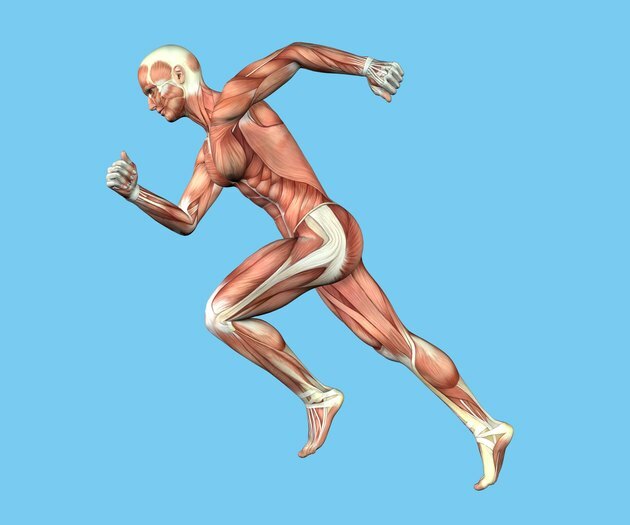 For example, the peptides actin and myosin are important structural components of muscle. Peptides also contribute to bone shape and strength. Bone and muscle not only provide structure to the body, but are also involved in movement and provide protection to internal organs. "Principles of Biochemistry (fourth edition)"; D.L. Nelson, M.M. Cox; 2005.